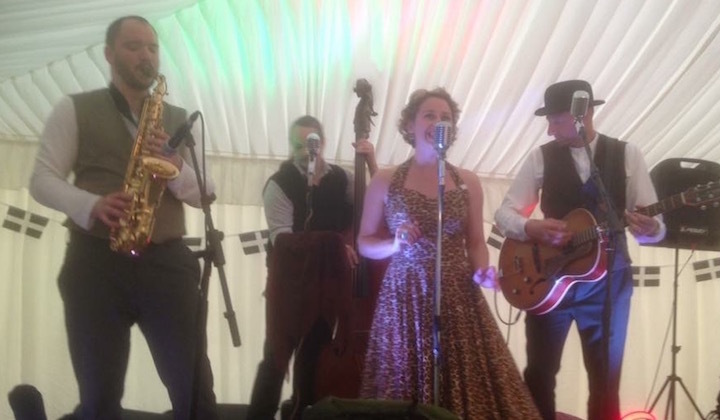 Some Like It Hot are the go-to band in the South West for authentic, vintage, dance-inducing entertainment. Some Like It Hot are going to take you from the bright lights of Chicago and New York, to the smoky clubs of New Orleans and Paris then back again! 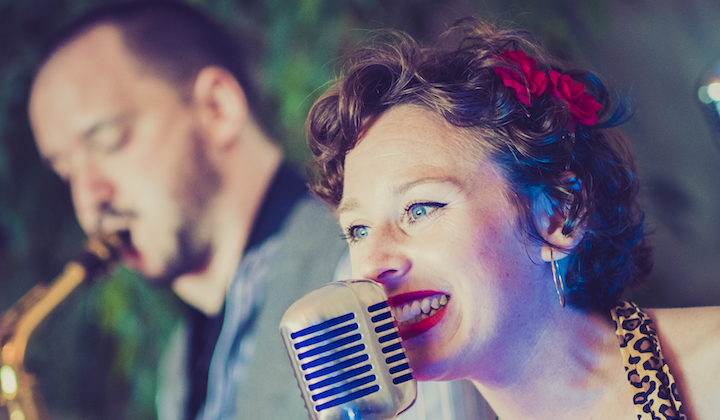 With Molly the Moocha at the helm, Some Like it Hot sail through a stylish blend of classic swing songs from the golden age of jazz combined with vintage covers of contemporary tunes. 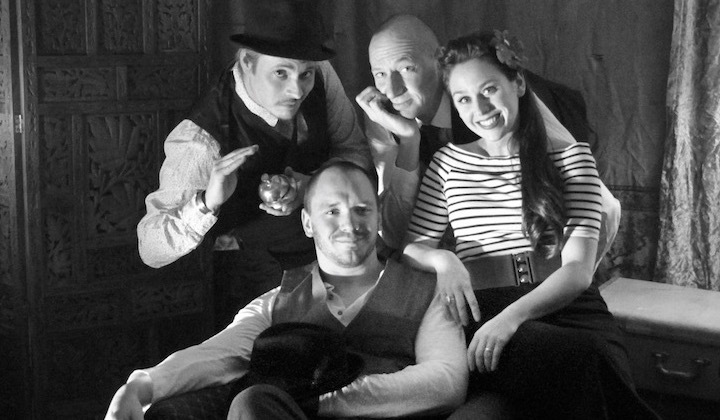 The band bring a vintage vibe and swinging sound guaranteed to transport you back to a toe-tapping bygone era full of glitz and romance. These four versatile artists have collectively more than 30 years of performance experience – from live theatre, to stage, to recording and now they have united to form Some Like it Hot to share their tantalising tunes. Here are some beautiful images of the band, weddings we've played and food we've eaten! Keep up to date with what we're doing on Facebook! Have a watch and listen to some great tunes!